Now is the best time to book your 2Go Travel promo ticket with this latest Superferry boat promo for 2019. Enjoy cheap 2Go ticket rates at as low as 600 pesos for April, May, June and July 2019 sailing dates. See the list of the destinations included in this 2Go Travel promo fares below. 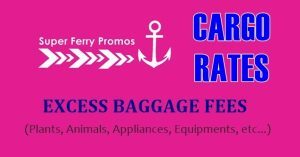 Your promo fare ticket already includes a 60 kilogram free baggage allowance but is only applicable to Super Value and Mega Value type of accommodation. 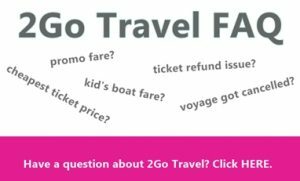 How to book your 2Go seat sale ticket? You can do it online right away at the 2Go Travle website https://travel.2go.com.ph. 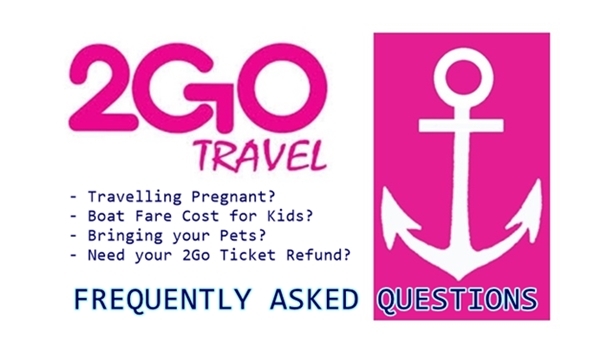 If you need help in booking online you can check the 2Go Travel ticket booking guide here. 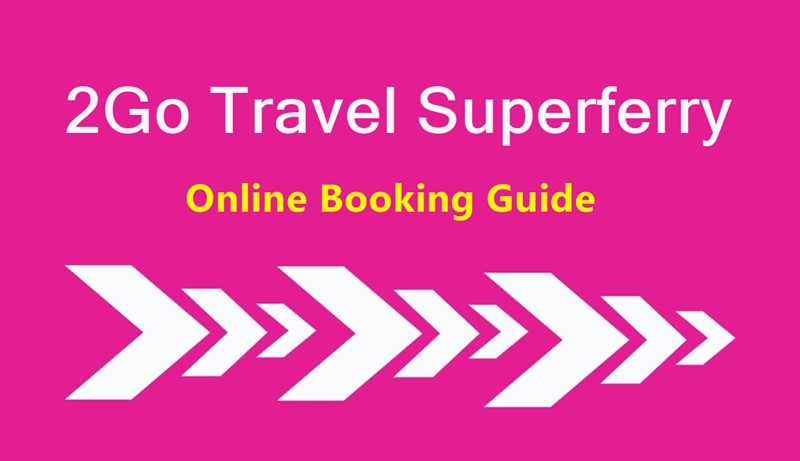 Frequent questions about 2Go Superferry are answered too on this LINK. You may also book your 2Go promo fare ticket via the 2Go Travel hotline (02) 528-7000 or via authorized ticket outlets. 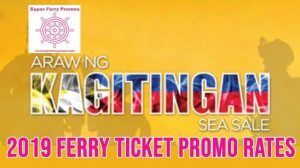 Follow our Facebook page: 2Go Travel Promo Fare to be notified of the latest Superferry ticket promos 2019 to 2020. Take advantage of the next 2Go Travel Promo Fare! Learn how to do the Online Booking!